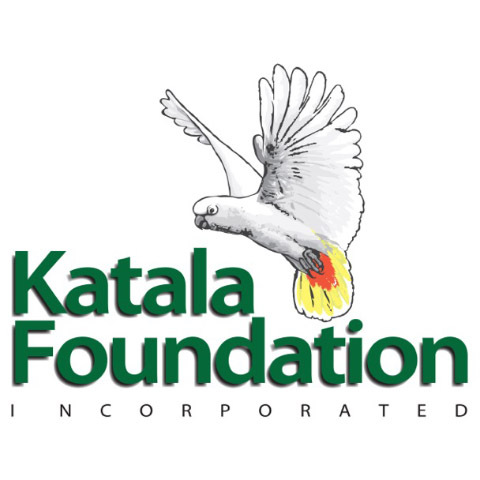 Katala Foundation Inc. (KFI) works with local communities in the Philippines, to conserve the Palawan Forest Turtle and the Philippine Cockatoo. Katala Foundation Inc. (KFI) works with local communities in the Philippines, most especially in Palawan, to conserve the Palawan Forest Turtle through in-situ and ex-situ conservation measures, scientific research, community outreach, conservation education and capacity building of stakeholders. KFI set up the Philippine Freshwater Turtle Conservation Program (PFTCP) in Dec. 2006 which implements several conservation measures to protect this Critically Endangered turtle. It supports the conservation of the Palawan Forest Turtle through research, habitat protection, conservation breeding, and conservation education. KFI also works with local communities in Philippines to protect the Philippine Cockatoo through scientific research, community outreach and conservation education. In order to protect and conserve the Philippine Cockatoo, KFI initiated the Philippine Cockatoo Conservation Program (PCCP) in 1998 which involves the protection and rescue of Philippine Cockatoos in several conservation sites. The Palawan Forest Turtle has a very high demand and value in wildlife trade. It is hunted for the international pet trade, the food and Tradition Chinese Medicine trade to East Asia, the national pet trade and for local consumption. It is expected that some northernmost populations will soon experience local extinction. The Palawan Forest Turtle only occurs in five municipalities in Northern Palawan. It is a lowland species and its preferred habitat are cool streams in primary forest. Only few pristine habitats are left and even secondary forests are cut and eventually converted in agricultural land. This unique bird species has high demand in the wildlife trade, making it a target for hunters and trappers who raid all unprotected cockatoo nests. It is likely that the continued trade of cockatoos to meet only the local demands is sufficient to endanger the remaining cockatoo populations in the region. The Philippine Cockatoo faces habitat loss throughout its range. Widespread deforestation has resulted in a loss of nesting and food-providing trees for the cockatoo, causing a declining cockatoo population. The PFTCP was institutionalized in late 2006. It has three main objectives: Conservation, Research, and Education. The PFTCP conducts scientific research on the biology and management of the species and its habitat, threats and conservation solutions (such as habitat conservation and restoration techniques) of the Palawan Forest Turtle. For more information on the PFTCP, see KFI’s annual report here. The PCCP has been an ongoing project of the KFI since 1998. Under the PCCP, a multitude of measures have been implemented to conserve the Philippine cockatoo. These include warden schemes employing ex-poachers, nest protection, protected area management, education, community outreach, habitat restoration, rescue and reintroduction. The PCTP, a project under the PCCP, aims to identify and assess suitable translocation sites for the Philippine cockatoo in order to establish a long-term and sustainable cockatoo population.